ProCollect are debt collectors with 26 years debt collecting experience, including 12 years Legal experience, working on legal files. We are dealing with bank contracts, where motor vehicles have been repossessed, as well as personal loans, arranging new monthly payments, or quoting the client a fair settlement, within the jurisdiction of the bank, corporate accounts, and private business/company accounts. Listing of Default Payers on The Credit Bureau. 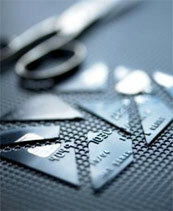 Including debit notes allocated to the clients accounts. Typing of all letters to clients and forwarding to clients. As well as dealing with the Credit Bureau, to make sure that the clients name has been cleared on the Credit Bureau, once the account is paid up. Once a new client contacts me, and he is interested in my Collection Services, I will inform him of my Terms and Conditions, should he/she require the necessary document pertaining to the above, I will then either e-mail or fax the document to them. Only once I have received the signed Terms and Conditions of my Collection services, the client has a choice to make an appointment to come and see Mrs Prinsloo, most clients prefer to either e-mail, or fax the Terms and Conditions to Mrs Prinsloo so that the Collection procedure can start as soon as possible. Surname, ID number, and all the necessary contact details. to the client introduces herself, and, stating that his/her account has been handed over for collection, whereby Mrs Prinsloo will explain to the client that should a suitable payment arrangement not be made urgently, the client would be listed at The Credit Bureau, and interest will be added to the outstanding balance owed. Listing a client at The Credit Bureau can have devastating disadvantages for the client, even with regards to The New Credit Act, once Mrs Prinsloo will instruct the client via letter that they have a time period of seven days to make a suitable payment on the outstanding account, should the payment not be made by the due date, Mrs Prinsloo will instruct The Credit Bureau in writing to list the mentioned client. Once the client has been listed, their names will under no circumstances be cleared even if the full amount of the debt has been paid, only an amendment will be made to the listing, stating that the account has been paid in full, and their names will remain listed for a period of 2 years, before it is removed. have a good Credit track record. their listing, stating that the account is paid in FULL. and her trace record is 95% on finding the client, then she uses a Professional Tracer, who is very effecient.